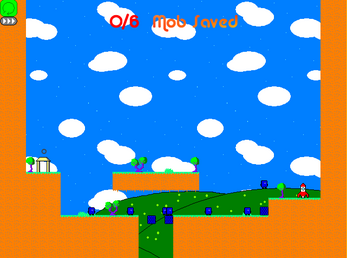 This is an alpha version of the game Mob Land. 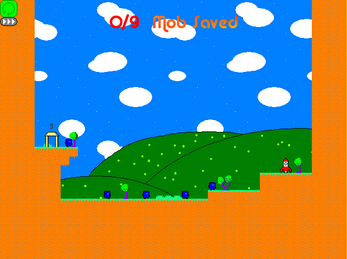 Mob Land is a Lemmings like, you have to create a way to the rocket for the mob. Each mob have a color. If you click on a mob he will active his power. I hope you will have fun !